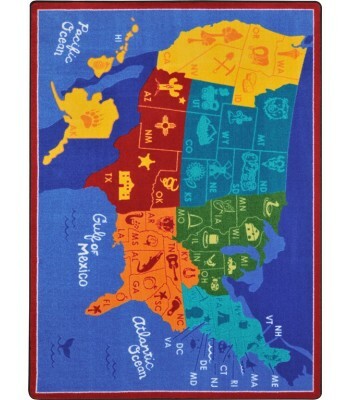 Buy Joy Carpet Kid Essentials Geography & Environment States Of The Nation Multi Rugs Online In USA. 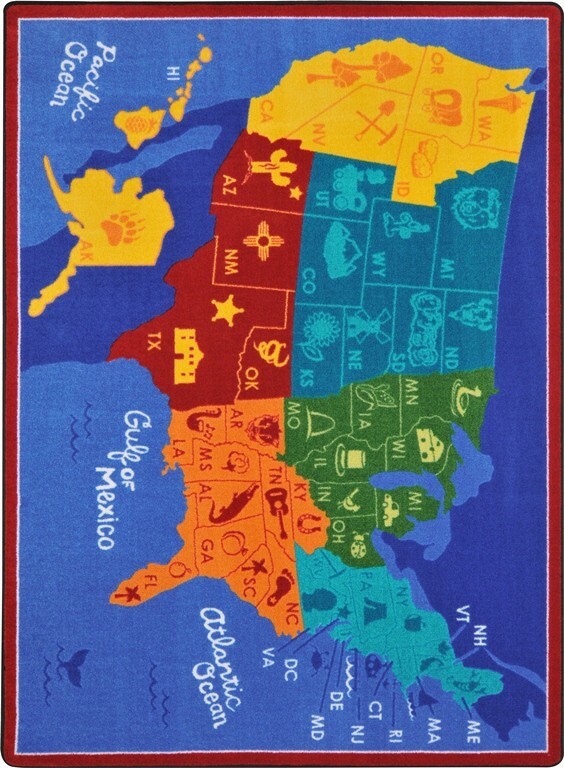 Description : Help children gain a solid foundation in US geography with States of the Nationﾙ. Students will learn while they play, building a permanent mental picture of their country.ﾠAssist children in understanding the relationship of states to each other, their geographical features, and key historical landmarks.